Instagram can be a noisy place. Scratch that—the world can be a noisy place, especially if you're city dwellers like us. It can be hard to find those much-needed moments of quiet when you're being bombarded by social media, news, emails—and let's not forget—people 24/7. 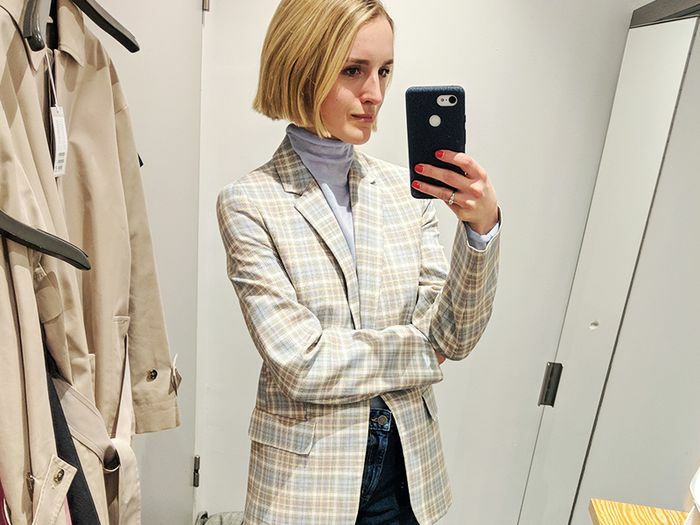 Most of these things are, unfortunately, out of our control, but when it comes to Instagram (unless you want to quit it altogether—which we would have complete sympathy for), we've recently rediscovered the joys of the minimalist fashion influencer. 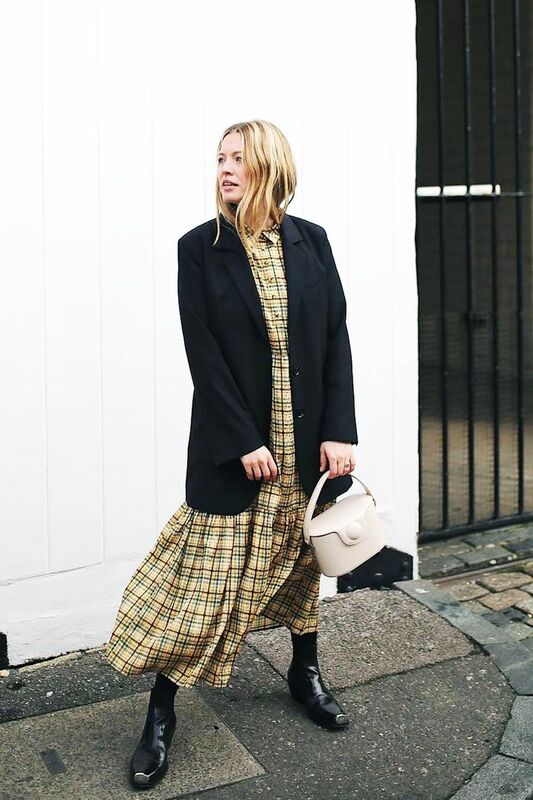 Acting as a sort of Marie Kondo for our Instagram feed, these individuals have eschewed stereotypes of the peacocking blogger and instead embraced the appeal of basics and style in its most simple forms. With our resolution to buy less but buy better, these are the women we are looking to for inspiration in 2019. It's all about finding beauty in those pieces that can't be pinned down to a certain year or season—be it a power suit, classic trench or perfect pair of tailored trousers. So if you're looking for a little chicken soup for your style (yes it's a thing), scroll down to see our roundup of the 10 minimalist fashion bloggers to follow now. Style Notes: Queen of trench coats Alexis Foreman certainly knows what she likes when it comes to fashion. You'll generally see her in a uniform of straight-leg jeans, boots and a trusty trench—oh, and don't forget her impressive range of sunglasses. Style Notes: Describing herself as a content creator, beauty junkie, model, DJ and photographer, Chrystelle Eriksberger sure is a busy woman. We have so much time for her tonal approach to power dressing via killer suits and immaculate separates. Style Notes: Whether it's winter layers or summer linen, Brittany Bathgate is our original minimal fashion muse. Go to her feed for fashionable twists on failsafe outfit formulas: Think white T-shirts and jeans to shirts and midi skirts. Style Notes: You can't look at Sylvie Mus's feed and not feel just a little bit better about the world. Her expertly curated profile is a tableau of white walls, oversized silhouettes and artfully shot close-ups. Just so chic. Style Notes: If you're craving a slightly more extroverted form of minimalism, head over to the Instagram account of Megan Adelaide Schaefer, where you'll find plenty of style purity but interspersed with the odd pop of colour or flash of print. Style Notes: Shot From the Street, aka Lizzy Hadfield, knows a thing or two about white T-shirts and has an uncanny ability to harness staples such as these to create seriously cool outfits. Style Notes: Kaitlyn is our go-to girl for muted hues and chic accessories. We're more than a little bit in love with the above powder-blue suit, which she's styled with white sneakers and sunnies. Take note for spring. Style Notes: With over 61,000 followers on Instagram, Ume Romaan is clearly doing something right when it comes to personal style. Her aesthetic is very much laid-back, elevated staples (think cool knitwear, elegant coats and plenty of camel hues) anyone can get on board with. Style Notes: Outfit close-ups are arguably the best way to capture the textural contrasts and colour combinations that make up a great minimalist ensemble, and Annemiek Kessels, aka ModeDamour, certainly knows this. Look to her feed for tonal styling tips and layering hacks. Style Notes: If you need proof of Sara Crampton's minimalist fashion credentials, just check out The Undone, her e-commerce site, which "focuses on delivering premium wardrobe essentials, elevated basics and succinct trend pieces to its customers." Crampton's Instagram account is the total embodiment of this sentiment. Style Notes: Model, podcast host and mental health advocate Jada Sezer is so much more than a fashion blogger. We seriously rate her ability to make any outfit look runway-ready. Just look at the above white tee–and–biker jacket pairing. We'll be copying this look ASAP.